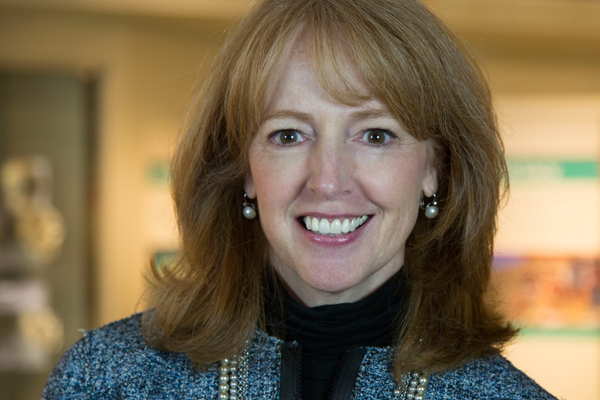 Evalyn Gates is the Executive Director and CEO of the Cleveland Museum of Natural History. Under her leadership, the Museum is undertaking a bold and innovative renovation and expansion project to reinvent its physical campus with the focus on bringing science to life for people of all ages and inviting people to personally engage in science. After receiving her Ph.D. in theoretical physics from Case Western Reserve University in 1990, Gates held postdoctoral fellowships at Yale University and the University of Chicago and was a member of the theoretical astrophysics research group at Fermi National Accelerator Laboratory. She spent seven years at the Adler Planetarium and Astronomy Museum, initially as Director of Astronomy and then as Vice President for Science and Education. Before coming to the Museum in May of 2010, Gates was the Assistant Director of the Kavli Institute for Cosmological Physics and a Senior Research Associate in the Department of Astronomy and Astrophysics at the University of Chicago. Most recently, her research has focused on various aspects of dark matter, and searching for ancient stellar fossils in the form of the oldest white dwarfs. Her first book, Einstein’s Telescope: The Hunt for Dark Matter and Dark Energy in the Universe, was published by W.W. Norton in February 2009. She also has a strong personal interest in addressing the under-representation of women and minorities in the physical sciences and has written several articles and presented talks on the topic of women in physics. Gates was a Boyd Fellow in the National Arts Strategies’ Chief Executive Program from 2011-2013 and is a member of the Leadership Cleveland class of 2013. She is a member the Executive Committee of the University Circle Inc. board and Co-Chair of the UCI Transportation & Infrastructure Task Force. She also serves on the Cuyahoga Arts and Culture Campaign Steering Committee, the American Physical Society Panel on Public Affairs, the University Hospitals Innovation External Advisory Board, and the Greater Cleveland Partnership Government Affairs Council. She and her husband, Eric Pelander, live in Shaker Heights and have three grown children.